The item Northwest passage : the last great frontier, Centre Communications, (electronic resource) represents a specific, individual, material embodiment of a distinct intellectual or artistic creation found in Richland Library. 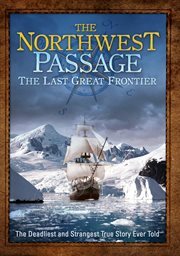 The Northwest Passage tells a dramatic story of courage, discovery and adventure. From the breath-taking landscapes of the Arctic to the unforgettable exporters that risked everything to accomplish the un-thinkable, highlights the missions and mysteries of the world's greatest waterway. Through in-depth interviews with experts and stunning video footage, discover first-hand the epic beauty and unfolding future of this honored melting marvel!